The new missile can allegedly hit all of North Korea. Yesterday, South Korea successfully test fired a ballistic missile capable of hitting targets anywhere in North Korea. The launch, which took place at a missile base in Taean on the country’s western coast, was watched by South Korean President Park Geun-hye. “The test demonstrated improved ballistic missile capability that can strike all parts of North Korea swiftly, and with precision, in the event of armed aggression or provocation,” the Blue House said in a statement according to Reuters. The South Korean President emphasized the deterrence capability of the new weapon, Yonhap, the South Korean news agency reported. “North Korea will have no choice but to come forward for dialogue rather than provocation, ”she said. Ever since 2012, Seoul has been developing a new ballistic missile after the United States and South Korea concluded an agreement to extend the range of those weapons by up to 800 kilometers (about 500 miles) and carry warheads heavier than the pre-2012 limit of 500kg (1,102 pounds). However, the agreement stipulates that the payload of missiles with a 500 miles range is limited to 1,100 pounds or below, in order to avoid a regional missile arms race with South Korea’s neighbors – China and Japan (shorter range ballistic missiles can carry up to 4,400 pounds under the rules). 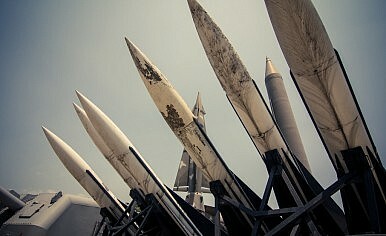 The ministry did not reveal the actual range and payload of the missiles tested. However, according to South Korean military sources, the two missiles test-fired were prototypes of the Hyunmoo-2B (현무, literally means “Guardian of the Northern Sky”), with a range of more than 310 miles and a payload of 2,200 pounds, the New York Times reports. The medium-range Hyunmoo-2B will be a pivotal element in South Korea’s burgeoning preemptive deterrence strategy against the North Korean missile threat, based on the “Kill Chain” – an integrated information, surveillance, and strike system, as well as the Korea Air and Missile Defense (KAMD) systems. The missile prototypes were launched from a mobile launcher, however the missile can also be fired from a submarine according to media reports. The Hyunmoo-2B is an upgraded version of the Hyunmoo-2A, both of which were developed by the state-run Agency for Defense Development (ADD). One or more Hyunmoo-2B missile systems are scheduled to be deployed by the end of year. The United States and South Korea conducted a precision-strike missile drill in response to North Korea’s recent ICBM flight test. US, ROK Conduct Precision-Strike Drill in Response to North Korean ICBM LaunchSouth Korea Test Fires New Ballistic MissileSouth Korea to Add More Missiles Capable of Hitting All of North KoreaNorth and South Korea’s New Military AgreementHow Far Can South Korea's Indigenous Defense Industry Go?